Portlaoise Senior 1st team are playing away against Enniscorthy 1st in the Leinster league. Match starts at 14:30 Also Portlaoise Senior 2nd team will be playing against Enniscorthy 2nd’s in Enniscorthy at 13:00. Portlaoise U21’s are playing away to CYM U21’s in the Gale cup pool at 14:30 on Sunday. Portlaoise Mini’s are at home in Togher playing against Athy. 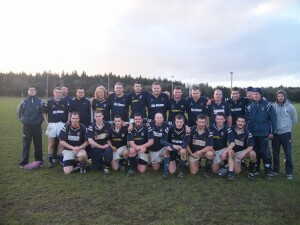 Match report on 3rd s game Sunday 16th January. Portlaoise 3rd v Edenderry 3rd in Portlaoise. Team : 15 J.Scully, 14 P.Kavanagh, 13 N.Fitzpatrick, 12 B.Hennessy, 11 C.O’Connor, 10 M.McDonald, 9 K.Donovan, 8 S.Cooper, 7 D.Bigley, 6 K.Griffen, 5 D.Broomfield, 4 C.Peters, 3 G.Hall, 2 G.Rowe, 1 J.Dowling, Subs: E.Cuddy, B.Lynch, P.Hearns, C.Keane, S.Miller, K.Hughes, T.Lynch, C.McGuire. 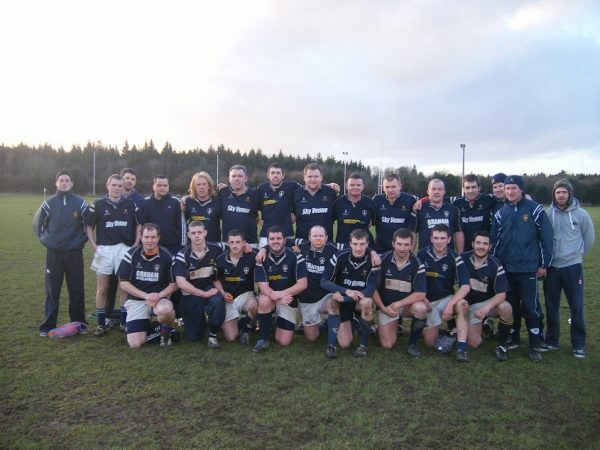 Portlaoise 3rd’s played their second match for 2011 in the South Leinster Provincial J3 League at Togher on Sunday afternoon. It was a glorious sunny afternoon perfect for an afternoon rugby game. From the starting whistle Portlaoise forwards attacked the Edenderry team which resulted in Edenderry giving away a penalty inside the first three minutes. Mossie McDonald duly stood up and converted the penalty to open the scoring for Portlaoise. From the Edenderry kick off, Portlaoise gathered the ball and stormed up the field, maintaining possession through phases of play and resulting in Garry Rowe scoring a try. Again Edenderry kicked off, Portlaoise collected and set about pressurising the Edenderry opposition. Portlaoise pack continued to keep possession through phases of play until they spread it out wide for Cillian O’Connor on the wing to score a try in the corner. Fifteen minutes later Portlaoise were again over the try line with prop John Dowling touching down under the posts after superb work by the pack. Mossie McDonald duly converted. Then Portlaoise upped the pace and were rewarded with three more tries scored by Stuart Cooper and John Scully (2). Mossie McDonald added a conversion. The half time the score was Portlaoise 37 – Edenderry 0. The second half began with Portlaoise maintaining their supremacy enjoyed in the first half. Within ten minutes of the start of the second half, Portlaoise‘s Paul Kavanagh had scored a try to bring the score line to 42 – 0. Shortly thereafter Edenderry were awarded a penalty for an infringement in a ruck and their out-half slotted the ball over to open their score. Portlaoise stuck to their task and were rewarded with two more tries , scored by John Dowling and John Scully who also converted the final try to bring the final score to Portlaoise 49 Edenderry 3.